Happy 100th Birthday to our National Parks! America has received a stunningly beautiful birthday gift in this large-format, 456-page book with photographs from each of the 59 parks. Photographer QT Luong, who grew up in France and took up mountaineering in the Alps, visited Yosemite in 1993 and it was "love at first sight." Next he ventured to Alaska, climbed Denali, and soon afterward visited Death Valley. By visiting America's highest and lowest elevations, he "realized how much diversity the national parks encompass -- they present every ecosystem a vast continent has to offer, and it was all new to me." His two decades-long odyssey had begun. 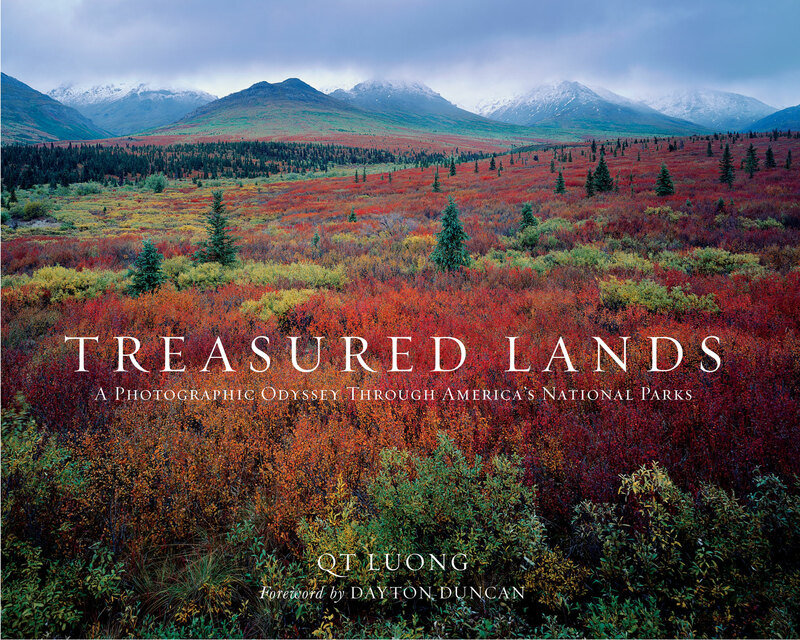 This year a geyser of commemorative books has burst onto the market to coincide with the U.S. National Park Service’s 100th anniversary, and this is the best of them all -- because of Luong's exhaustive efforts, making over 300 visits to the various parks over 20 years. Over time, he had to learn the skills of scuba diving, kayaking and canyoneering to get the best photos, and added a full-frame digital camera to his equipment for capturing his magical, starry night photos. Over 500 images grace this boulder-weight book, and it's not just the gorgeous photos, taken with an Ansel Adams-style large format camera -- it's also loaded with info about each park: the year established; number of square miles and annual visits; and its relative rank in size and popularity. There's also an in-depth description and topo map of each park, pinpointing the location of each photograph taken. If you've already visited some of the parks, this is a great way to reminisce about them, and it's also a dream-guidebook to those you hope to visit. "Photography has the power to help you connect with nature and with yourself," says the author, and he encourages us to visit the iconic attractions such as Old Faithful, but says "the parks are full of surprises as well -- especially if you are willing to venture off the beaten path." If you're a fan of our National Parks and want the best book about them yet to be published, I recommend you beat a path to your bookstore and buy it.